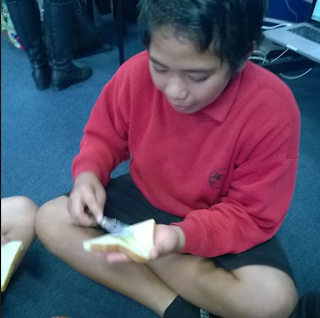 WOW?I didn't know butter was so easy to make.All you need is just cream milk and a pinch of salt and that is all you need to make butter.Then we tried the school made butter on bread,and it was so nice. Your introduction is very clear Tom, I think you need a 3 for Orientation. You have worked hard to improve your recount introductions, well done.